On 10 December, 1990, Morrissey appeared on "Tonight With Jonathan Ross" and performed I've Changed My Plea To Guilty. This performance was included in the DVD that accompanied the release of Very Best Of Morrissey. On 19 May, 2004, Morrissey appeared on Friday Night With Jonathan Ross. Morrissey performed Irish Blood, English Heart and Subway Train + Everyday Is Like Sunday. In between songs he was interviewed. On 14 March, 2006 it was announced that Morrissey would appear on Friday Night With Jonathan Ross and perform You Have Killed Me. On 23 March it was announced that the appearance was canceled. On 19 May, 2006, it was again announced that Morrissey would appear on Friday Night With Jonathan Ross, this time performing The Youngest Was The Most Loved. On 21 January, 2008 it was reported that Morrissey would appear on Friday Night With Jonathan Ross on 1 February and perform That's How People Grow Up. On 1 February, 2008, that's exactly what happened. 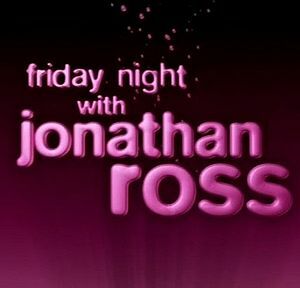 On 14 January, 2009, Jonathan Ross mentioned on Twitter that Morrissey would appear on his show in "early March". On 30 January, 2009, it was reported that TV.co.uk listed Morrissey as appearing on the show on 13 February. On 13 February, 2009, Morrissey and his band appeared on Friday Night With Jonathan Ross. There was no interview this appearance but several shots of him in the "Green Room" awaiting his appearance. The performance this evening consisted of I'm Throwing My Arms Around Paris and This Charming Man. This page was last modified on 2 November 2012, at 20:32.